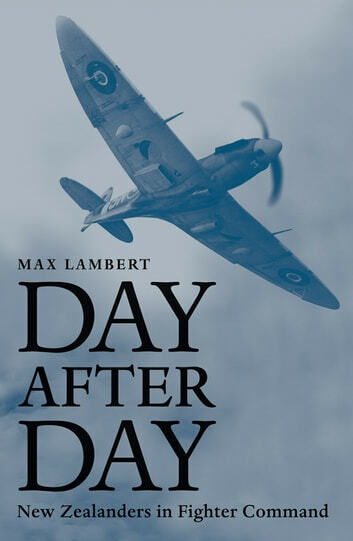 An absorbing and long-overdue tribute to New Zealand fighter pilots in World War II In his bestselling Night after Night, Max Lambert wrote about courageous New Zealanders in Bomber Command. In this long-awaited companion volume, he profiles their daytime counterparts - pilots of single-engined day fighters in Fighter Command.New Zealanders, some of them still in their teens, flew in Britain and Europe from 3 September 1939 until the very last actions in May 1945. they flew in Norway and France, then in the historic and decisive Battle of Britain when Spitfires and Hurricanes fought the Luftwaffe. the long years of attacks against the fringes of German-occupied northwestern Europe followed. After the invasion of France in 1944 they operated Spitfires, typhoons, tempests and Mustangs from French, Belgian and Dutch airfields and, finally, from German bases as the Allied armies marched into the heart of the third Reich. this is the story of New Zealand participation in Fighter Command, and later in the Second tactical Air Force (2tAF) which had the prime attack role post-invasion. It recounts in detail the stories of some of the men who took part in these defining events, the men who lived - and died - flying piston-engined fighters that reached a peak of design and performance just before the dawn of the jet age. they flocked to join the Royal Air Force in the late 1930s and the Royal New Zealand Air Force once war was declared. Most of them wanted to fly fighters. those who achieved their aim wrote a proud and indelible chapter in New Zealand wartime history. Stories about many of the men have never been told before, contributing to an absorbing and long-overdue tribute to our fighter pilots in World War II.